Elaborate estates and refined resorts have their place in wine tourism, but nowadays numerous winemakers are reimagining their beautiful vineyard properties to create a distinctly different type of sip-and-stay experience. Some spots aren’t actually wineries themselves, but have taken advantage of their prominent wine region placement to pick up on the wine industry’s popularity, using their own unique venues and vibes. 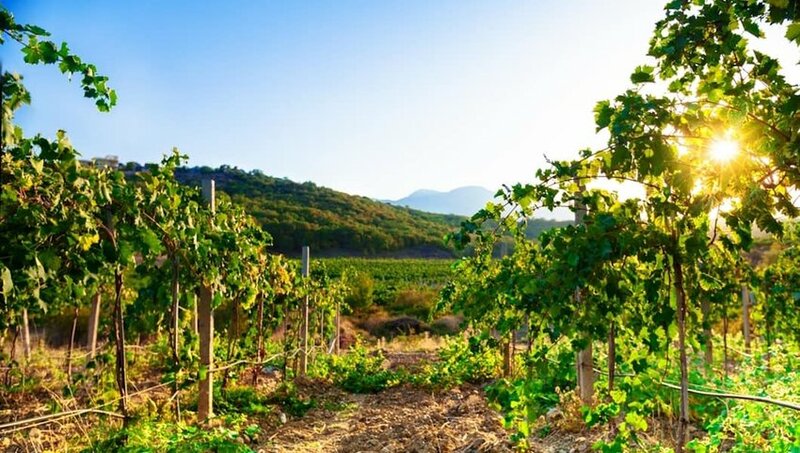 The evolution of the wine travel segment in recent years has meant an evolution of interesting and exotic vineyard digs, so this list could be nearly endless. Here are five of the most unexpected wine stays we’ve encountered so far. Once used to store grain, the quirky quarters at Abbey Road Farm are set on the 82 acres of a former horse ranch in Oregon’s Willamette Valley wine region, renknowed especially for its world-class Pinot Noir. Owners John and Judi Stuart in 2003 turned the property into a boutique guest ranch, converting three, side-by-side silos into swanky guest rooms. By slicing windows into the aluminum walls and squeezing in steep stairways, each silo was given two floors, creating a total of five rooms with private baths, queen beds fitted with Egyptian-cotton sheets, even whirlpool baths in three. The rooms share a central living room, and meals are dished up nearby at the original ranch house. Daily breakfast includes fresh eggs and organic herbs from the farm, which also has a cherry orchard, goats, sheep, llamas and alpacas. On another part of the ranch, the AgriVino Event Center is used to hold Friday five-course dinners prepared by Dario Pisoni, an Italian chef whose sumptuous fare is paired with vino representing Italy’s 20 viticultural areas, or distinct wine regions. The popularity of this event makes reservations essential. The striking, black mansard roof with jaunty dormer windows presides high above the yellow two-story facade of Les Crayères. This stately, 20-room Belle Epoque chateaux in the heart of the Champagne region once was a family home. Now it is home to luxurious guest suites and a Michelin-starred restaurant, the wine cellar of which features some 400 different Champagne labels. 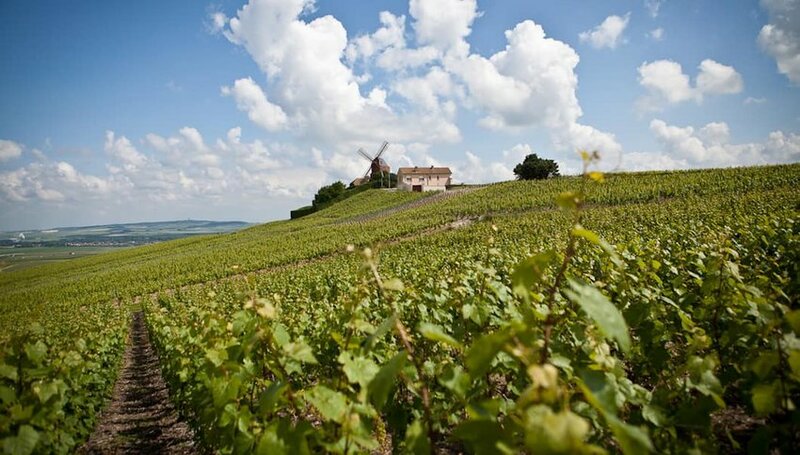 Situated nearby are the best Champagne houses in the region, including Veuve Clicquot-Ponsardin and Moët et Chandon. Helpful chateaux staff are happy to arrange a tour of these prestigious properties. A little church known as the Notre Dame Cathedral is another neighboring attraction. 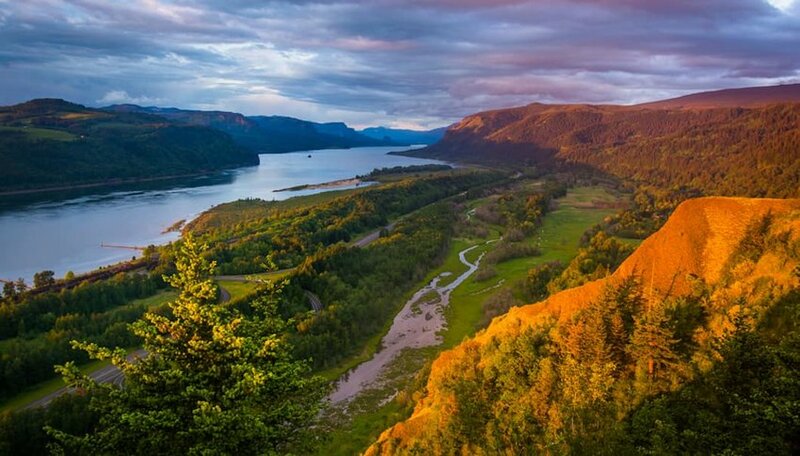 Set in the dramatic grandeur of the Columbia River Gorge, the cliffside Cave B Inn & Spa claims some unexpected accommodations. Now one of the prominent wine sub-regions of Washington’s booming wine industry, the Columbia Gorge in the eastern part of the state has many wineries, but Cave B’s combines a winery with a resort spa experience and its own restaurant. Most unusual, though, are the Yurts of Cave B Inn. Each round, Douglas Fir-framed yurt is posh, with a king bed beneath a domed skylight, private bathroom, even Ipod docking stations. Live music fans can plan a visit to coincide with one of the many top-name concert acts that perform each summer at the nearby Gorge Amphitheatre in George, Washington. Throughout Italy, an “agriturismo” can range from a mom-and-pop farm where you trade chores for room and board to far more refined operations that include agricultural pursuits. 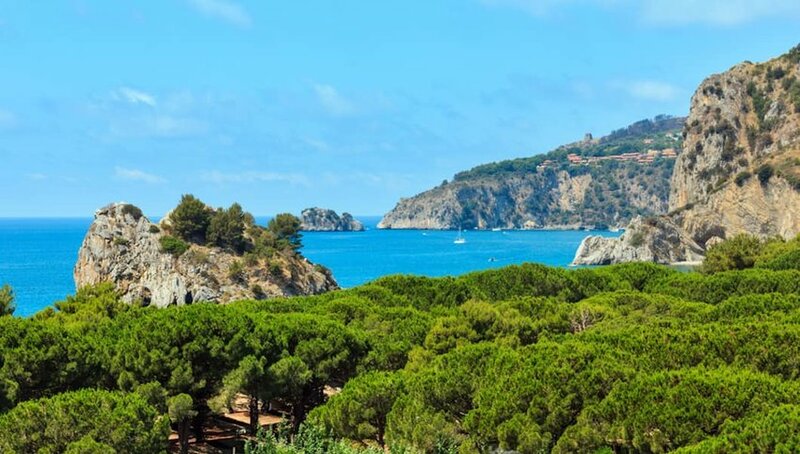 One of the latter is perched on a prominent hilltop high above the coast in the Cilento e Vallo di Diano National Park. About 30 kilometers, or less than 20 miles, south of the historic city of Agropoli, Agriturismo le Agavi features stunning Mediterranean Sea views and historic farm buildings refurbished into guest rooms. Even the most simple rooms enjoy the scenery, and all of them come with a flat-screen TV, wifi, minibar and private bath. Surrounded by groves of olive trees and vineyards, the farm produces its own olive oil, wine and honey. In fact, the estate’s own fruit preserves and housemade honey are on the breakfast menu. Located in the heart of Destiny Ridge, the winery’s 243-acre estate vineyard set high on a bluff, Alexandria Nicole Cellars’ tiny houses range from super-cool modern to rustic-cozy, all with decks, fire pits, and perfectly sighted for stunning vineyard and Columbia River views. Each of the four twee bungalows has its own character, charm and amenities. And its own whimsical name. 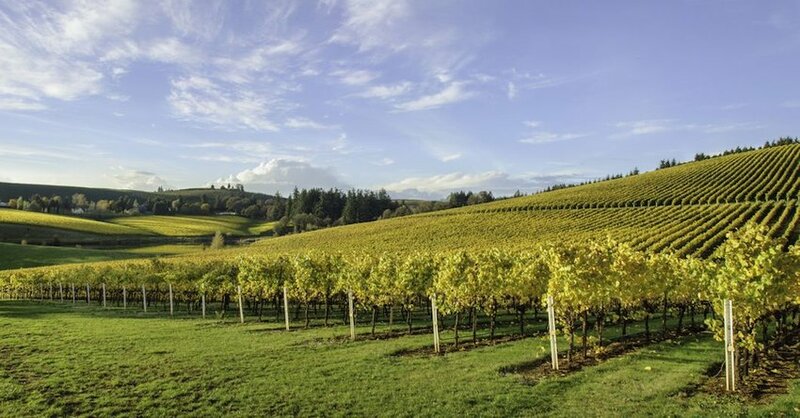 Epiphany Viognier, 380 square feet with full-size appliances, a queen-sized bedroom, and sleeping loft, accommodates up to four wine adventurers after a hard-day’s tasting. Affinity Albarino, at 218 square feet, is the smallest of the diminutive domiciles, and sleeps a maximum of two. Jet Black Syrah, 392 square feet, is modern-urban chic, with a gourmet kitchen and large, private deck. Gravity is 380-square-feet of rustic charm, built from reclaimed timber and outfitted inside with repurposed pieces for a shabby-chic feel.